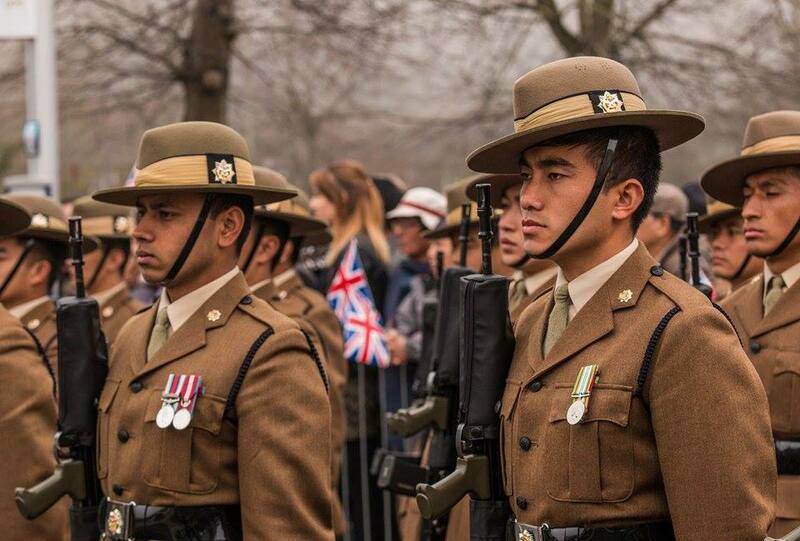 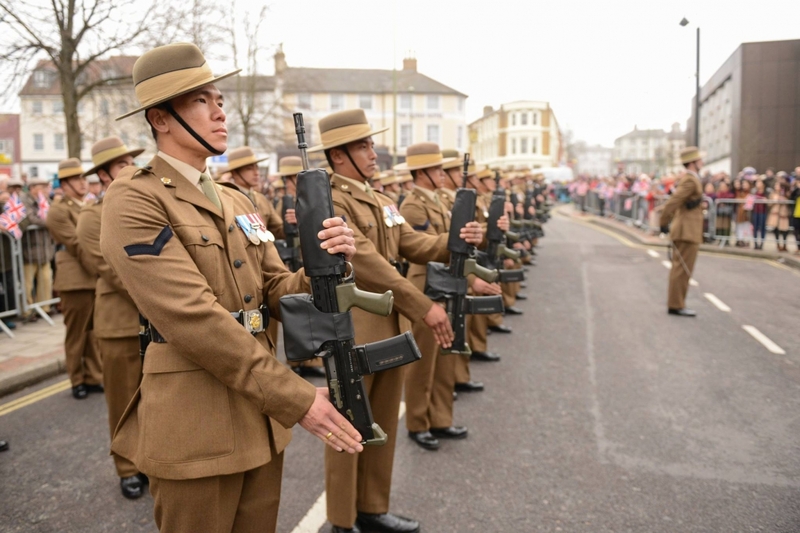 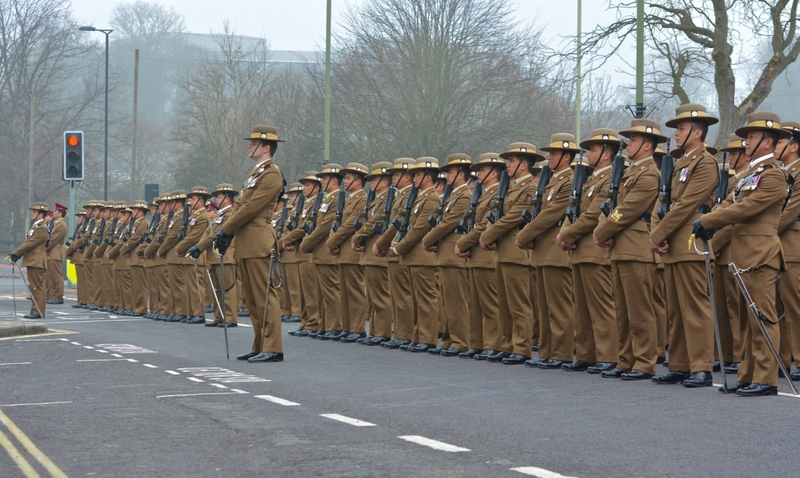 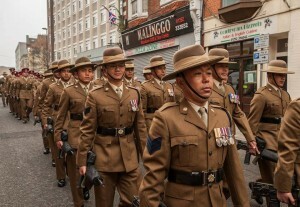 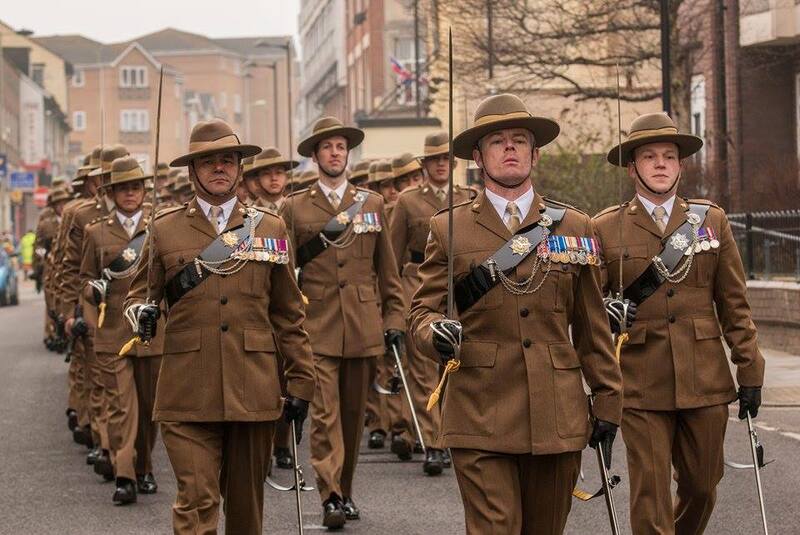 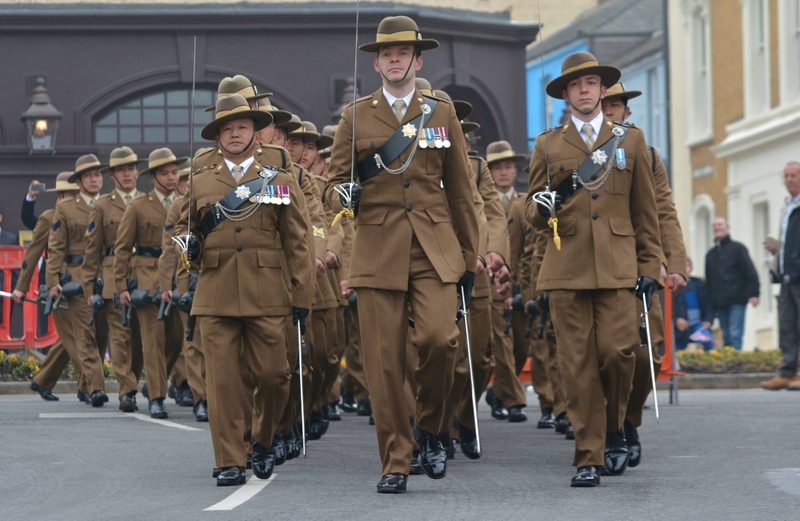 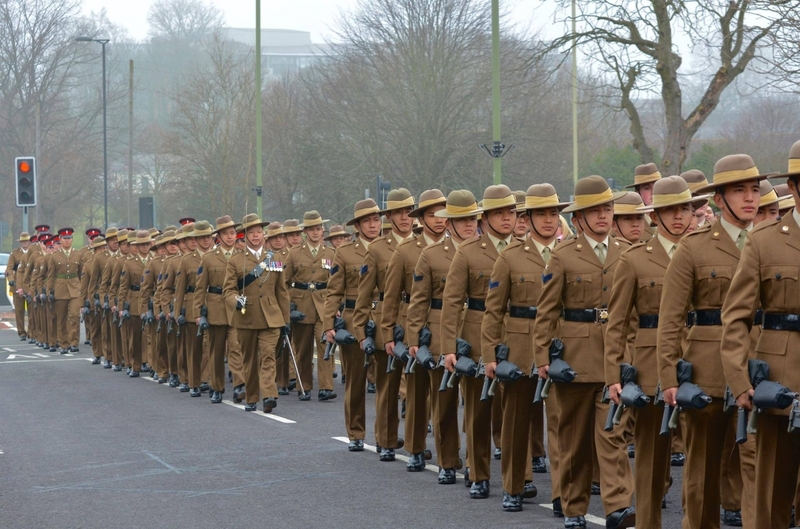 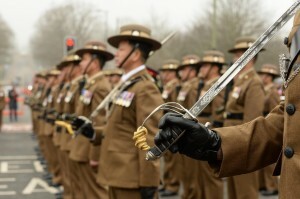 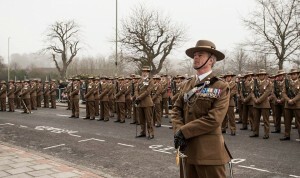 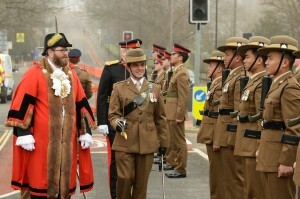 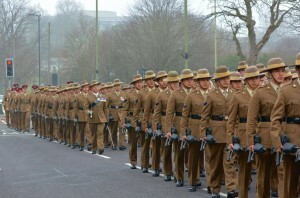 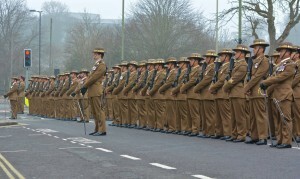 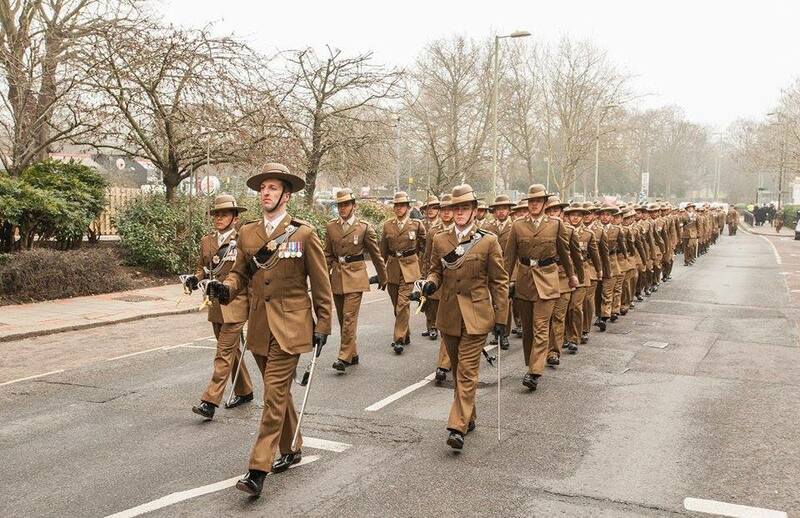 On Saturday 12 March 2016, 10 Queen’s Own Gurkha Logistic Regiment (QOGLR) were granted the Freedom of the Borough of Rushmoor in front of the people of Aldershot. 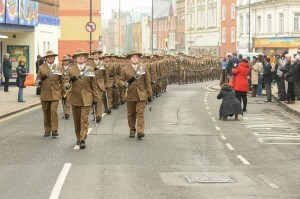 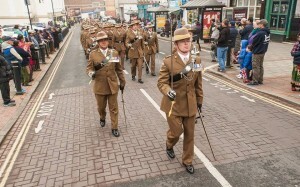 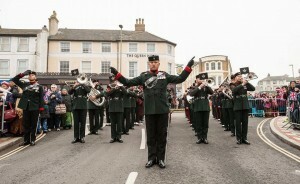 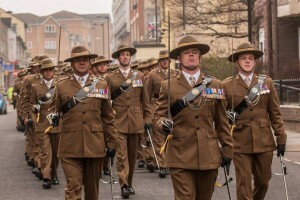 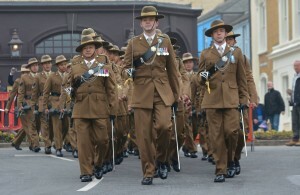 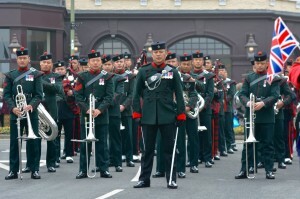 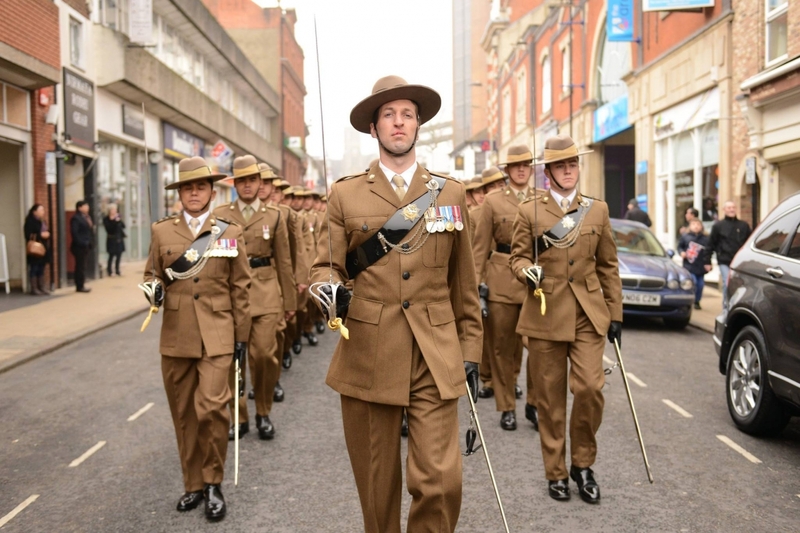 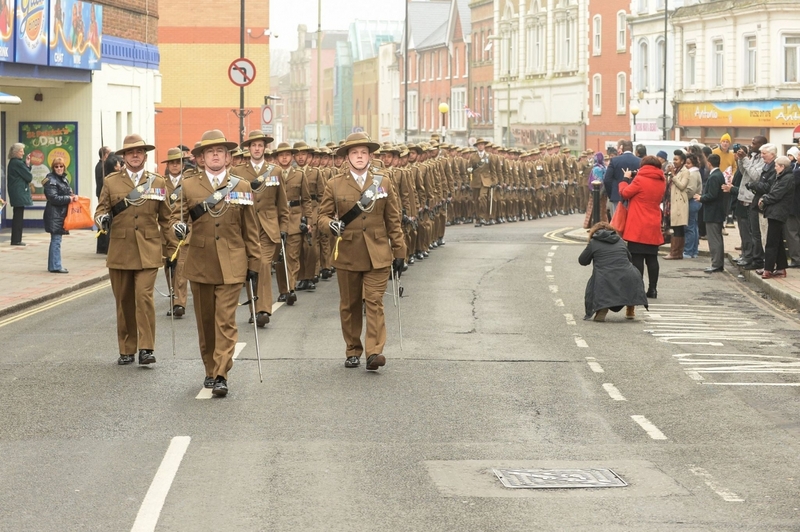 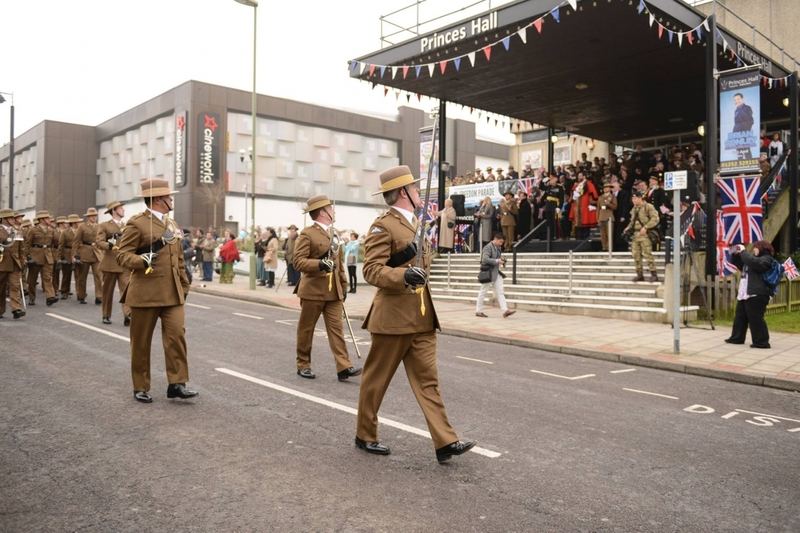 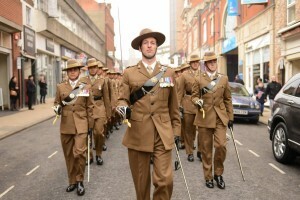 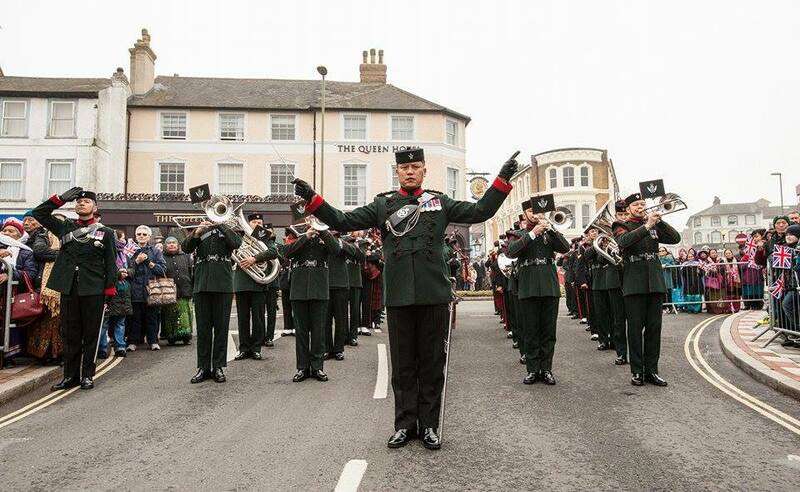 The Regiment marched through Aldershot town centre on Saturday morning, led by the Band of the Brigade of Gurkhas and their own Regimental Pipes and Drums. 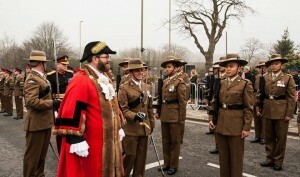 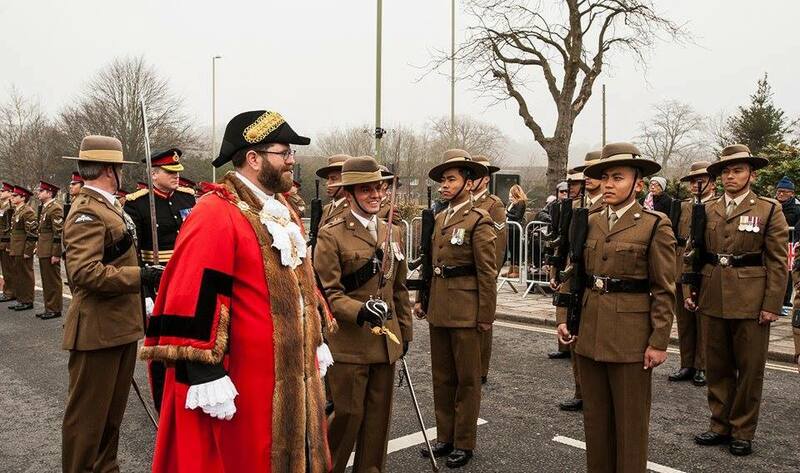 Colonel of the Regt QOGLR, Major General Angus Fay and Mayor of Rushmoor Councillor Martin Tennant inspected the troops before presenting the Freedom Scroll to Commander QOGLR , Lieutenant Colonel Patrick Reehal MBE. 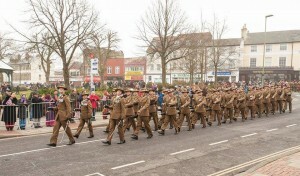 Indeed, the QOGLR has completed two tours in Iraq and two in Afghanistan since they moved to Aldershot. 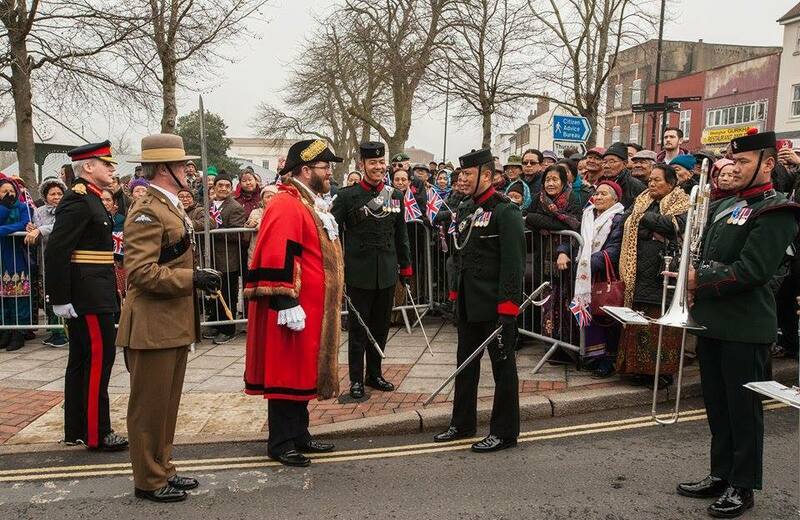 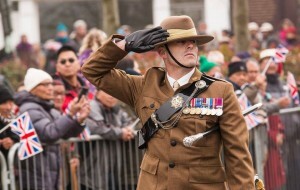 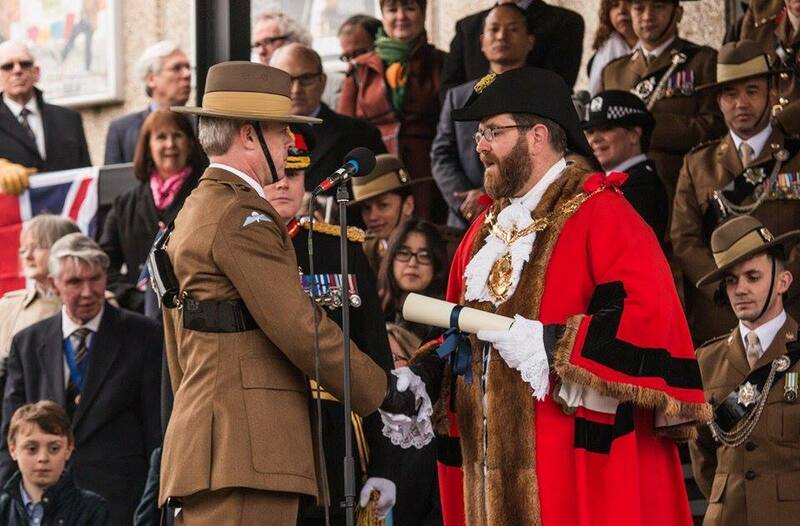 It is worth noting, that this is the highest honour a council can give and comes at a symbolic time as 200 years of loyal service of the Brigade of Gurkhas to the British Crown were recently celebrated. 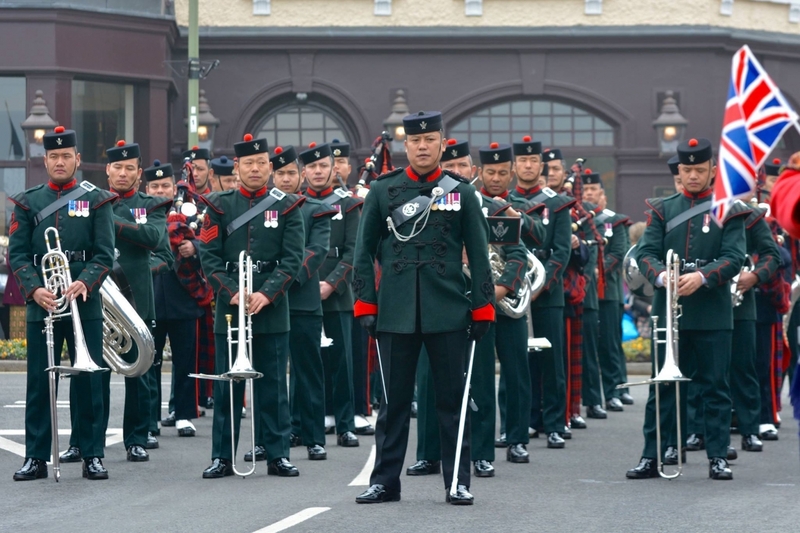 Led by the Band and the Regimental Pipes and Drums, the QOGLR then proudly marched along Grosvenor Road, Station Road, High Street and then back to Princess Hall. 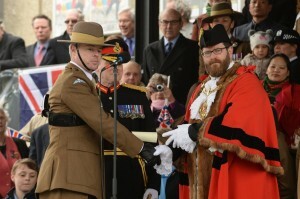 Hundreds of people lined the way, applauding and cheering to support this momentous occasion.